If anyone knows me, they know that I am a bit obsessed with all things Ghostbuster. Peter Venkman was my ideal man when I was 5-years-old. 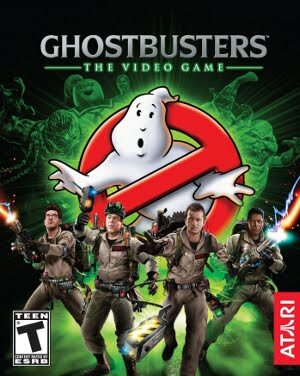 My love for the first and second movie has never wavered, so you can imagine my excitement when I first heard about a Ghostbusters video game being published by Atari. Anyone who has played the demo (for XBox 360) seemed to come away from it less than impressed. This disappointed me because I WANTED this game to be good. I decided to forget what everyone had said and play it myself. I am not going to lie, my first foray into the game was frustrating, because it was HARD. I am not one to play a game on easy, and this one was no exception. Only, I couldn't do it and only began to really enjoy it once I switched to easy. I am glad I did, as it was a lot more fun that way! 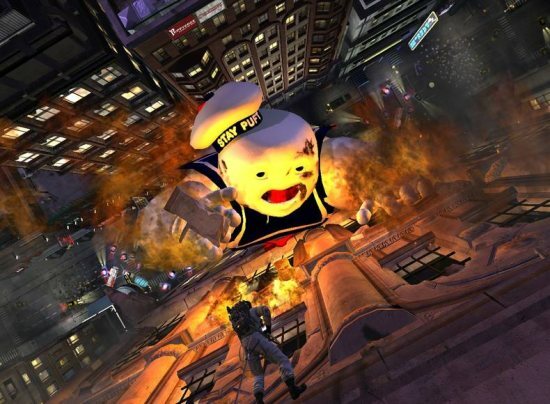 Set in Manhattan in 1991, this third-person shooter has you playing the character of "Rookie", a brand new Ghostbuster trainee who gets thrown right into the job when a huge 'PKE shockwave' hits New York City. 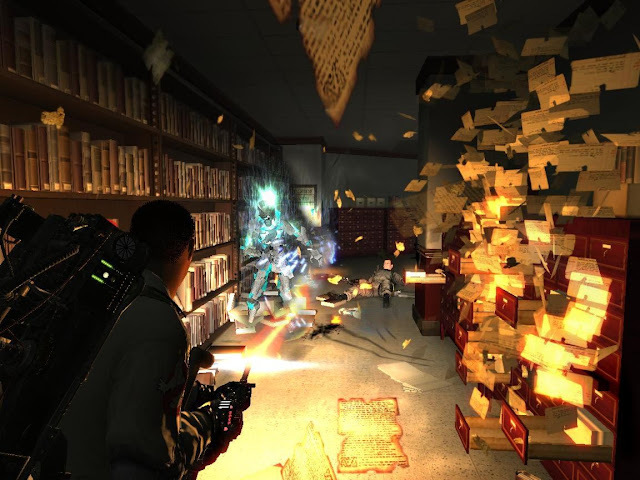 Many recognizable spots from the movie play a role in the game, along with recognizable phantoms. 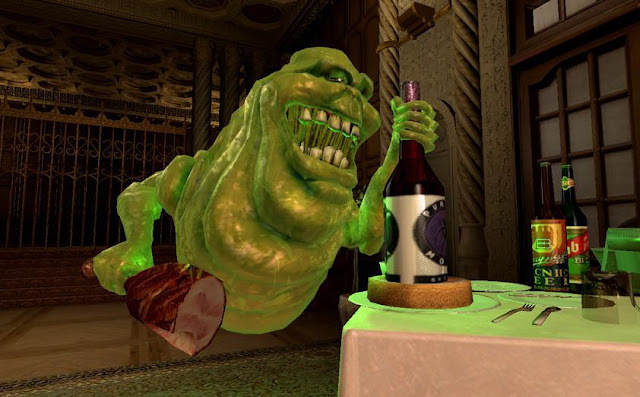 Slimer is the first ghoul you see as the game begins, and your very first job is to ghostbust a variety of ghosts out of the Sedgewick Hotel. Here is where you learn to use your proton pack, as well as your PKE meter, a device that you use through 90% of the game. The story line seems simple at first, but quickly goes deep into the background of Ivo Shandor and his evil exploits to turn the city into his own paranormal playground. You learn of his plan to open up portals into the Spirit World that will allow that world to overpower the real one that the Ghostbusters live in. The controls and gameplay are amazing. Almost the entire XBox 360 controller is used to fight, capture, and survive the many ghosts who haunt the places you are called to protect. Each place gets progressively creepier, and I found myself jumping out of my skin a few times, especially in the library. I found that the use of the proton pack was extraordinary. It was programmed to act very much like the ones in the movie, with the stream bending and following the phantom in it's grasp.  Your pack overheats, so some quick finger action is needed to difuse the situation, or your player is rendered without a weapon for a few seconds. This can be very bad, as there are so many scenes that are fast-paced and sometimes one hit can knock you down, useless and unable to protect yourself. With the weapons as realistic as if they were heating up your hands, and the original actors from the movie lending their voices to the script for this game, it can do no wrong. IGN gave it an 8.0 out of 10 and I concur with this rating. If you want a fun, fast-paced, thrill ride of a game, one that scares the pants off you at times, then this is the game for you. A fun adventure from start to finish.